The ruling against Mino could have far-reaching implications for other videogame clones. There are plenty of Tetris clones out there - the diabolical Hatetris is a particularly good one - but it was the 2009 release of Mino, described by developer Xio Interactive as a multiplayer version of Tetris for the iPhone, that attracted legal action on the part of the Tetris Company. 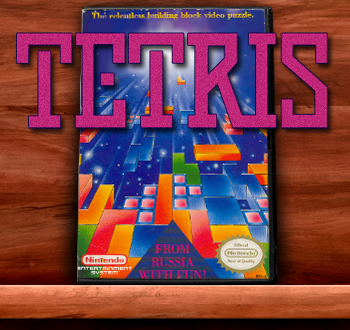 Not long after Mino was released, the Tetris Company filed a lawsuit alleging that the game infringed upon its copyrights, and earlier this month the U.S. District Court for the District of New Jersey issued a ruling agreeing with the claim. Judge Freda Wolfson noted in her ruling that Xio's defense was a "purely legal argument that because it meticulously copied only non-protected elements, in particular the rules and functionality of the game, and not its expressive elements, that judgment should be entered in its favor." And although she didn't dispute that "the game mechanics and the rules are not entitled to protection," Xio, in her opinion, went too far. "This principle does not mean, and cannot mean, that any and all expression related to a game rule or game function is unprotectible. Such an exception to copyright would likely swallow any protection one could possibly have; almost all expressive elements of a game are related in some way to the rules and functions of game play," she wrote. "To accept Xio's reasoning would give a copyright defendant free reign to copy another's expression, to pilfer another's creativity, merely by describing that expression in sufficient detail related to a rule or a function," she continued. "Tetris Holding made specific and deliberate design choices and its product has enjoyed great success; to allow Xio to profit off that expression, and that success, by blatant copying, without offering any originality or ingenuity of its own, defies the very purpose of copyright law... There was no necessity for Mino to mimic Tetris's expression other than to avoid the difficult task of developing its own take on a known idea." The ruling could have a major impact on cases like the one currently ongoing between Triple Town developer Spry Fox and 6waves Lolapps, which released a very similar iOS game entitled Yeti Town; Spry Fox sued 6waves Lolapps in January, claiming that Yeti Town is a"virtual duplicate" of Triple Town.